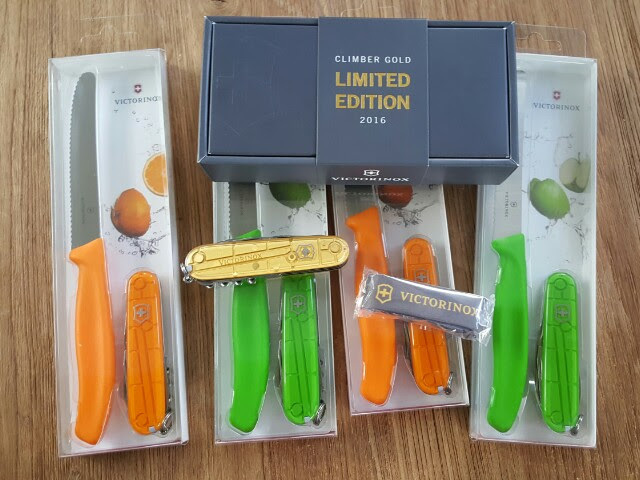 Just a nice pic of a limited edition Climber with gold scales (basically SilverTech but 24 carat gold plated. GoldTech I guess?). It’s limited to “only” 20,000 pieces worldwide and comes in a nice LE box. And two sets of the color twins: Spartans in new colors: translucent bright green and orange, plus matching fruit/tomato knives.